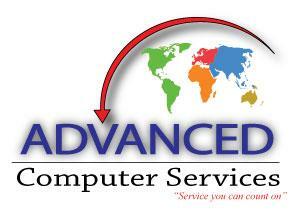 Advanced Computer Solutions offers a wide range of service options to meet your needs. Whether it is a new installation or retrofit, we can design and install a secure cost-effective data network solution for your company using the latest wired and wireless technologies. If you already have a data network, our experienced Tech Pros will maintain it and ensure that it runs securely and efficiently. We install, maintain and service Windows Server 2003 and Windows Server 2008 servers and processes including Exchange, Active Directory, DHCP, DNS, Remote Desktop Services, etc. If you need a new server, we offer extremely cost-effective and powerful single, dual and quad Intel Xeon™ Server products. Please contact us to discuss your needs and to get a quote. Your business data is critical to your operations. Using a variety of tools, both on-site and off-site, we can help you protect your data integrity so that your business will survive any possible mishaps and failures. Your company is unique. We will tailor-fit an IT service plan that is right for you. Whatever you need, rest assured that all of our resources, knowledge and experience will be working to keep you up and running. Please contact us to arrange for a free audit and consultation. You can't afford to be down. Our Tech Pros all have corporate experience and understand your needs. Your call to our service center immediately puts our response team into action and we are able to address and resolve most critical issues on the same day.